My best friend Julie Ann would have been 47 today. Just as last year, I decided to remember her with a cake. 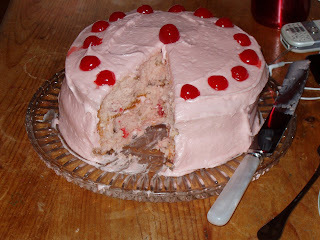 This year I chose a pink Maraschino cake with a cherry frosting. 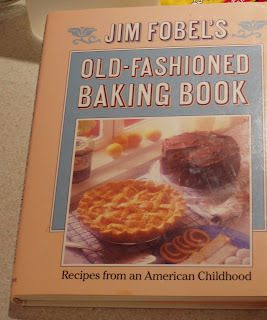 The recipe is from this 1987 cookbook by Jim Fobel. It's full of wonderful family tried and true desserts. What a fine way of remembering your friend! And the cake looks absolutely delicous.